Summer's given me some time to catch up with reading. 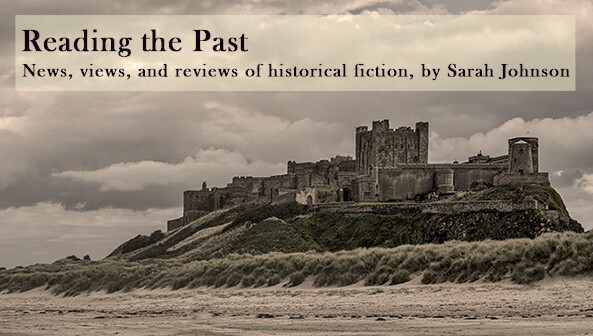 Here are three historical novels I'm recommending. The first two are from my own collection, and the third was sent by the publisher (thanks!). In the year 1353, life isn’t always easy for a bookshop owner on Oxford’s High Street. Money’s tight, with over half of the city’s residents dead from the recent plague; town-gown rivalries are common; and the university’s slow to pay its bills. 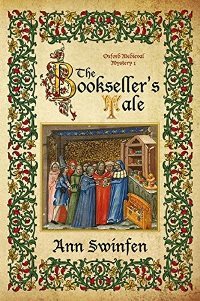 “It was irksome,” says narrator Nicholas Elyot, “but the position of official bookseller to the university had the advantage of bringing in a regular income.” In Swinfen’s lively medieval mystery The Bookseller’s Tale (Shakenoak Press, 2016), Nicholas is a youthful widower raising his son and daughter with the help of his sister, Margaret, who runs a tight household; both siblings had lost their spouses to the Black Death. Nicholas goes into crime-solving mode after finding the body of a student and former employee floating in the river Cherwell while walking home from an excursion to buy new quills. Why was William Farringdon wandering in the countryside so far from school, and who stabbed him in the back? Nicholas is an upright fellow with serious responsibilities, but he loves his children dearly. He’s also an expert in the book business and happily shares his knowledge about quality parchments, manuscript illumination, and smart sales techniques. He’s an inexperienced investigator, though. While some of the scrapes he gets into are very funny, others pose needlessly dangerous risks to himself and his family. He’s aided in his search for justice by his friend Jordain Brinkylsworth, Warden of Hart Hall, where William had lived. Swinfen illustrates merchant and university life in medieval Oxfordshire with a sure hand, and she gives Nicholas an intriguing backstory: he had left the celibate life of a scholar behind to marry a “shopkeeper’s wench,” his late wife, Elizabeth. Despite her early death and the resentment of some at the university, he doesn’t regret his decision. I wish this series a long and successful life. Imagine being born into a society in which you’re not only unwanted but expected to be a burden on everyone. This is the case for Serafina and Mary MacDonald, daughters of a British tea planter and the Indian teenager he takes as his concubine and installs on a hidden part of his estate in the mountains of Assam, a region with an intense, almost unparalleled beauty. It’s impossible not to root for these girls as they grow up unaware of the reality of their father’s outward life. They’re forced to confront the horrible bigotry aimed at them not only from the English but also from Indian men who cruelly mock them for their mixed-race birth. Even in their isolated environment, they see firsthand how their society discards its women by watching the helpless fury of their mother, the beautiful Chinthimani. (She's led from the beginning to believe she’s James’s wife, not his secret mistress.) While Mary is good-natured and makes friends easily, Serafina, two years older and more reserved than her sister, holds herself apart. 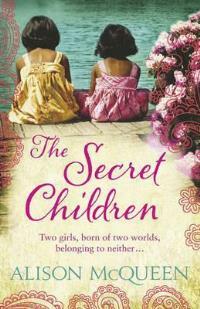 Set between the 1920s and 2006, The Secret Children (Orion, 2012) is a gripping novel of survival and the struggle for self-determination that also poses thoughtful questions on the meaning of home. The girls find a few allies as they become young women, and despite his despicable behavior and cowardice, their father, James, is hardly a caricature; he loves them both, but knowledge of their existence would damage his career. Alison McQueen based this work, her first historical novel, on events from her mother’s past, and you can read more in a piece she wrote for the Guardian. I’ve been following the television drama Indian Summers and found this “readalike” novel equally gripping. When Rosa Ermosa calls her oldest daughter the “beauty queen of Jerusalem,” it’s not really meant as a compliment. Even as a wife and young mother, Luna is a gorgeous fashionista more concerned with Hollywood stars and her appearance than her own mother or daughter’s feelings. Sarit Yishai-Levi’s first novel was an international bestseller, and after reading it, I can see why. It drew me fully into the daily lives, hopes, and sufferings of four generations of women in a Sephardi Jewish family in Jerusalem from the Turkish occupation of Palestine through the British Mandate, the Arab-Israeli War, and the 1970s. Many readers in the author’s native Israel will be familiar with Sephardi culture and traditions, but I hadn’t been. Through the characters’ experiences, I absorbed new information, such as the longtime rivalry between Israeli Jews of Sephardic and Ashkenazi heritage – intermarriage between them is practically forbidden – and the former’s Ladino language, which is similar to Spanish. 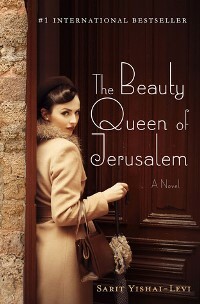 Generational strife, forbidden love, family obligation, and coming of age are all universal themes, but in The Beauty Queen of Jerusalem (Thomas Dunne/St. Martin’s, 2016), they’re indelibly imprinted by the culture to which the characters belong. The novel swirls with family stories and reads like you’re hearing anecdote after entertaining anecdote passionately retold by a talented storyteller. The narrator is Gabriela Siton, Luna’s daughter, who asks her Nona Rosa and her Tia Allegra, her grandfather’s sister, to tell her about her family’s history. Maybe then she’d learn why Luna, who died when Gabriela was eighteen, had always seemed so cold and spiteful. The jacket blurb mentions a “family curse” that links the women, since they’ve been destined to marry men who don’t love them. There’s nothing supernatural about it, though, and each woman’s story is different. Her two sisters are wonderful people, but Luna’s story is among the most poignant. She may not be likeable, but in the end, I felt like I understood her. The Bookseller's Tale sounds good - that time period fascinates me. I looked up Swinfen's other books and they look interesting also. Thanks for the reviews. I was also looking around at Swinfen's other novels, which look pretty good - they cover a variety of historical periods. I first heard about The Bookseller's Tale on Facebook, then downloaded a sample and wanted to read the rest. I'd like to read all three. Will go and look them up now. Thanks for the recommendations!! Glad you're interested in reading them, Sandra - thanks for your comments! Hope you enjoy them if you pick them up.